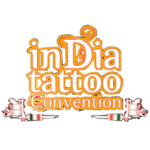 Five years ago, on a slightly dull November morning, I opened the newspaper and caught a small ad – 1st India International Tattoo Convention. 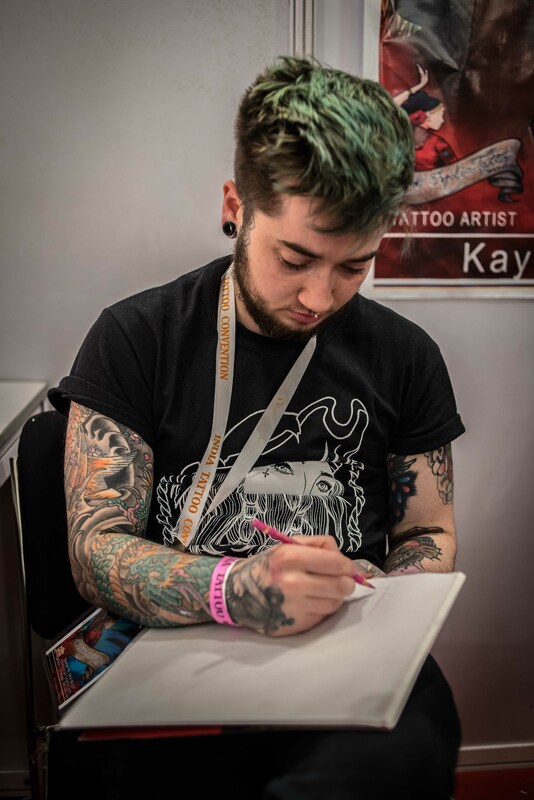 At the convention, I got an impromptu tattoo just to mark my first time at a tattoo convention. 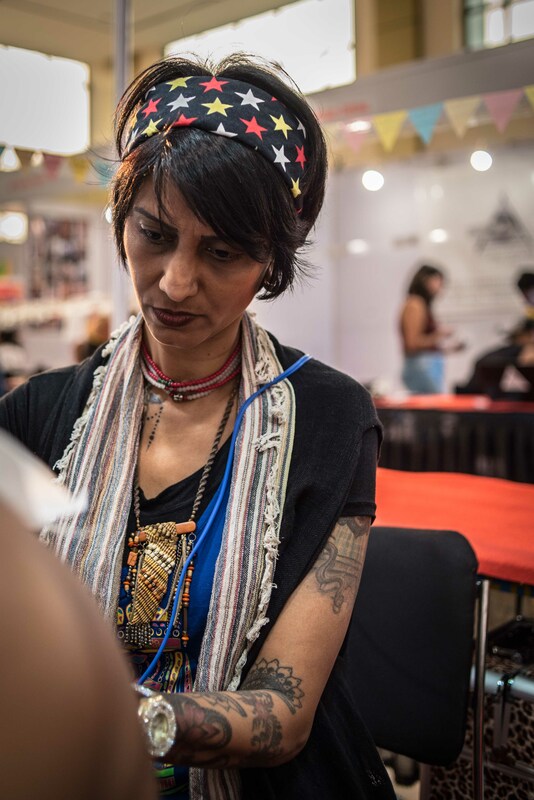 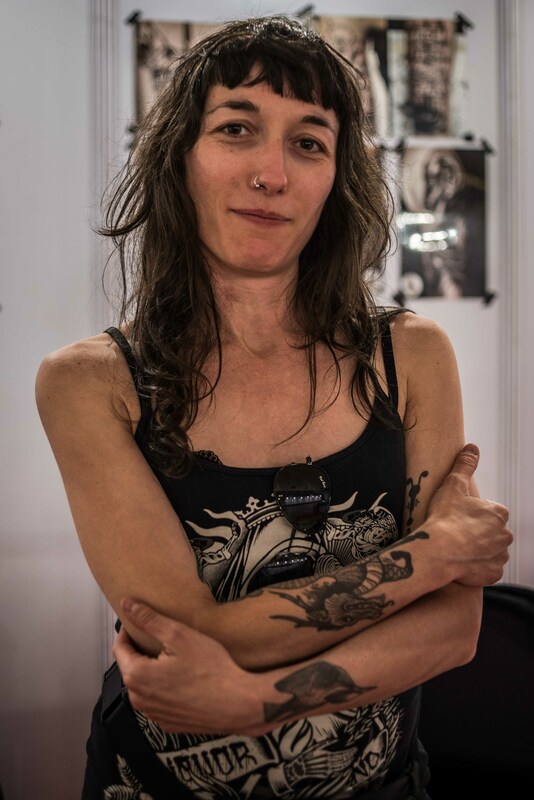 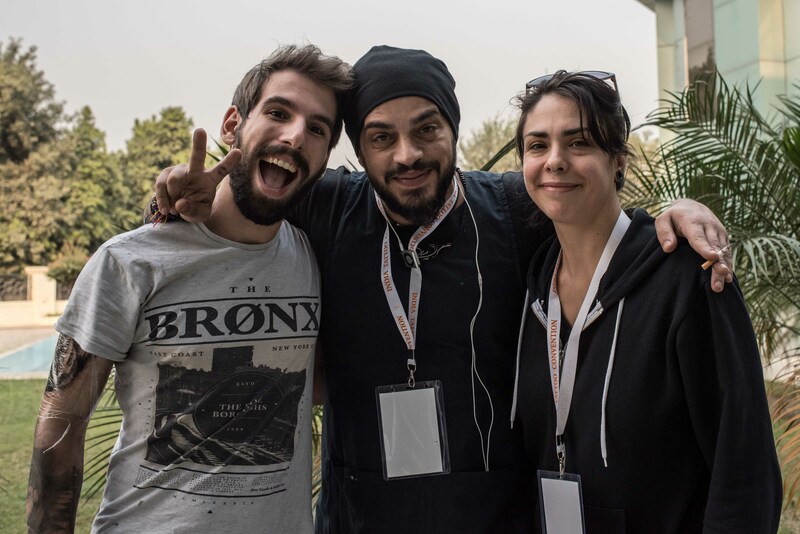 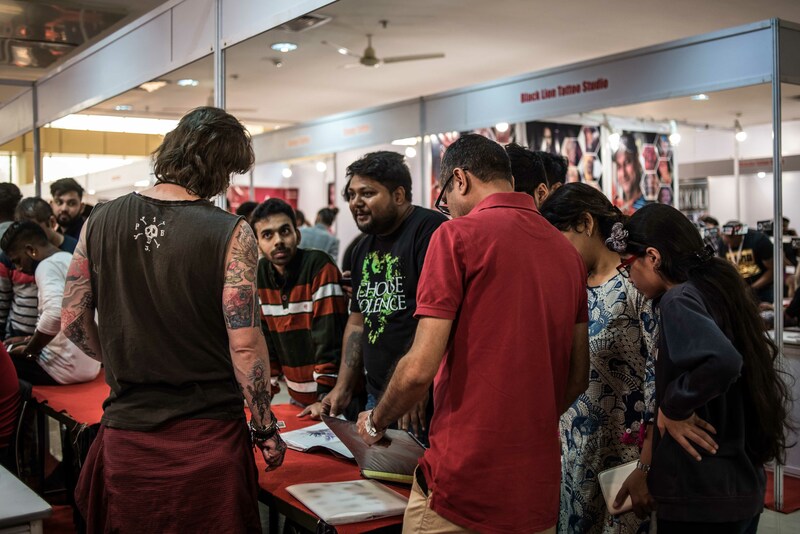 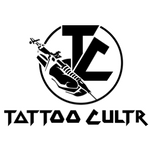 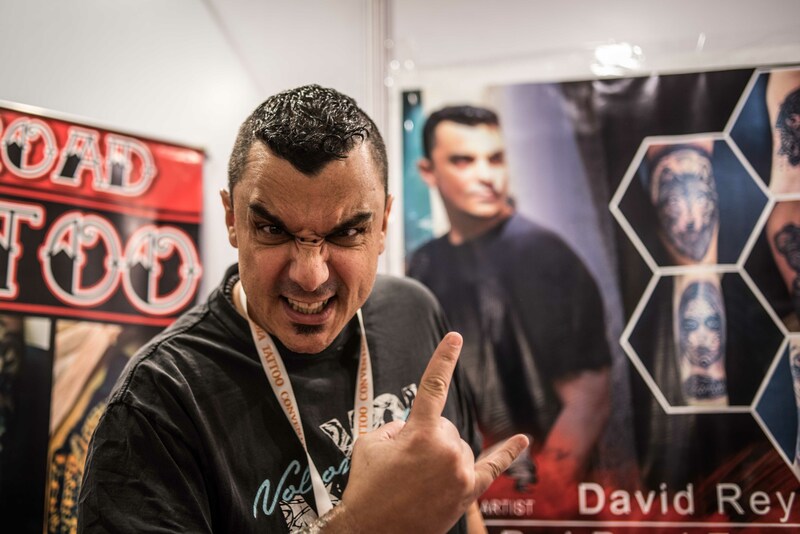 Currently running its 5th edition, like every year, this time around too, Faridabad became a convergence of tattoo artists not only from various parts of the country, but also from all across the globe including Italy, Denmark, France, Spain, Czech Republic, Sri Lanka and Iran, just to name a few. 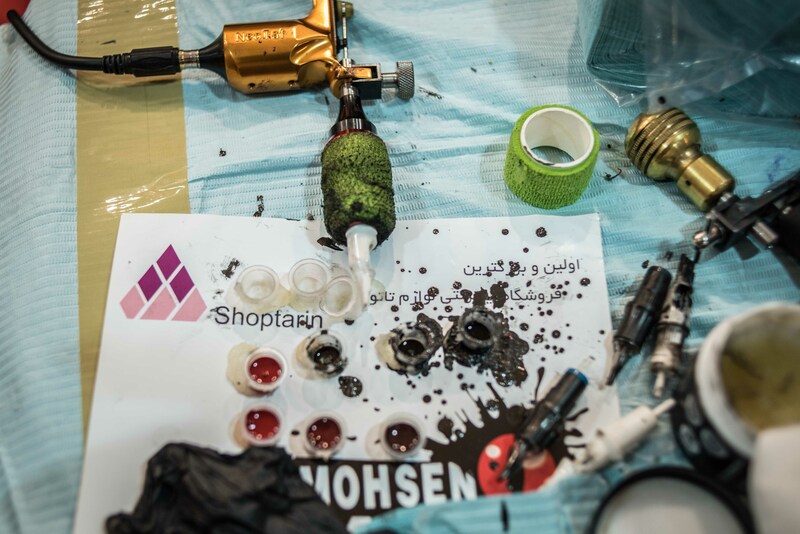 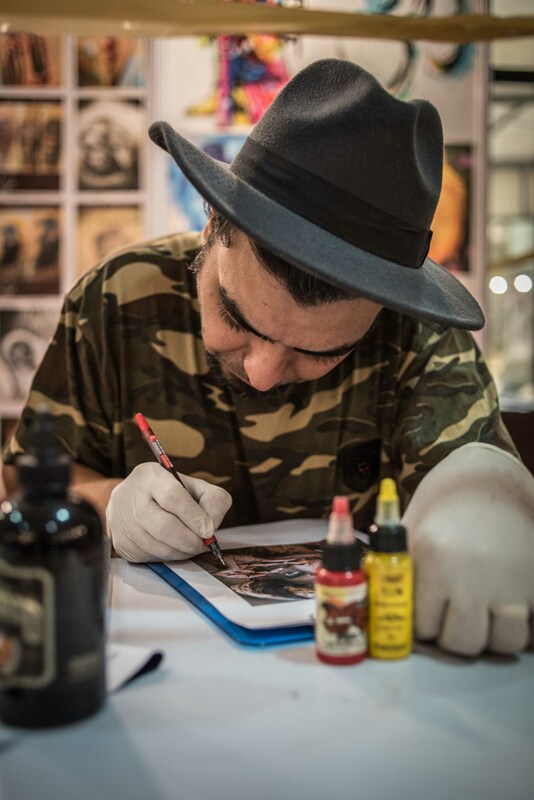 Mohsen Tattoo, all the way from Iran, is the biggest tattoo studio in their country with the maximum number of artists working together. 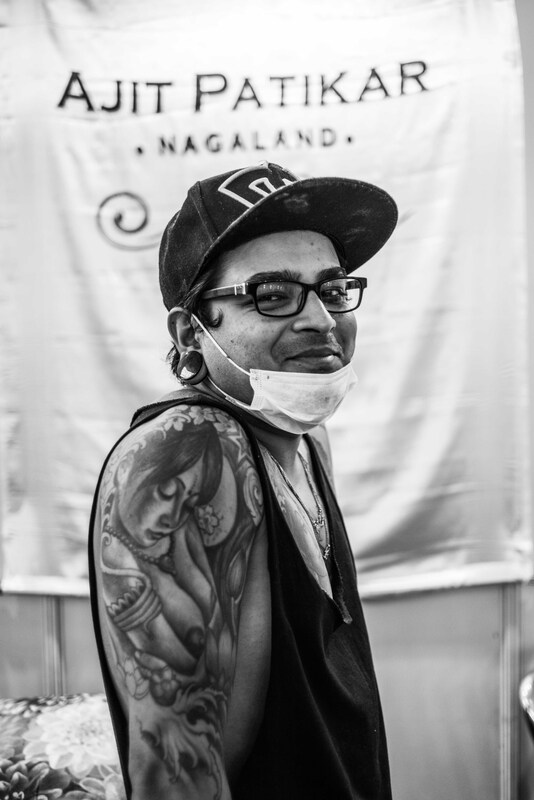 Reza from this group said that it is great to see how India is coming up as another big place for International conventions with great line ups of artists. 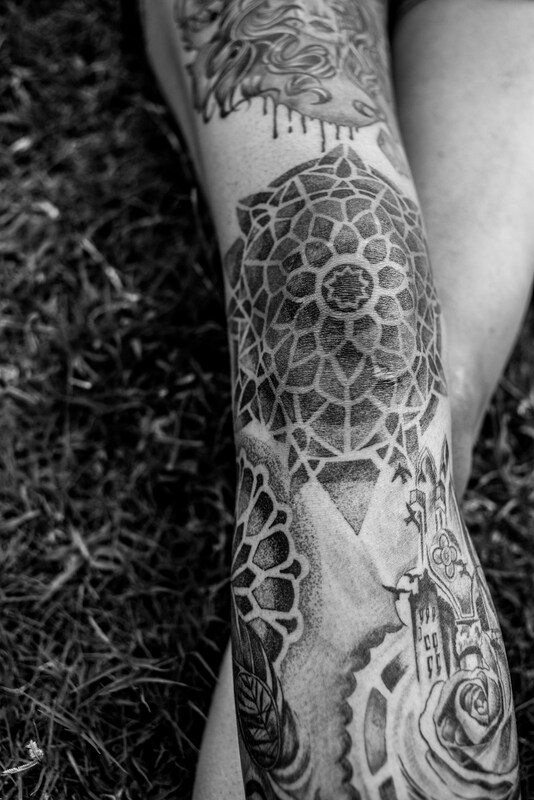 A young girl with a fresh pink coloured tattoo on her thigh said that she doesn’t know what it means. 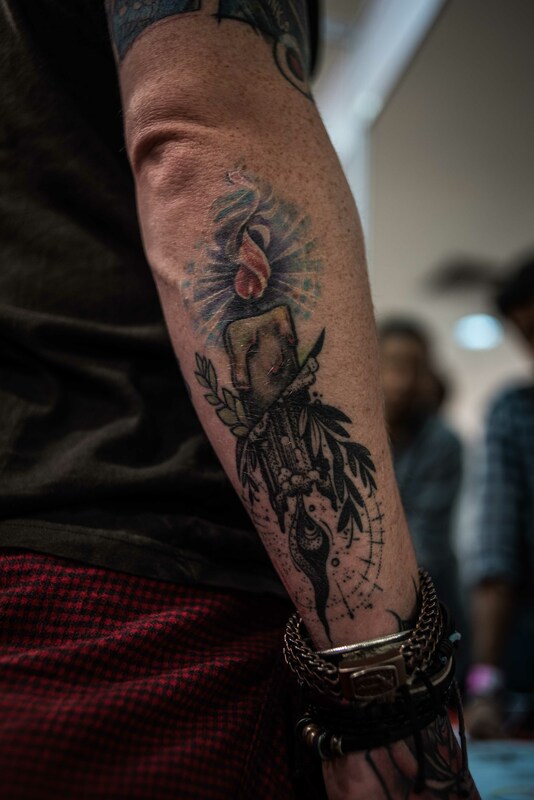 She chose the design as it looks a little ‘evilish’- and she liked the idea of something being pretty and evil looking at the same time. 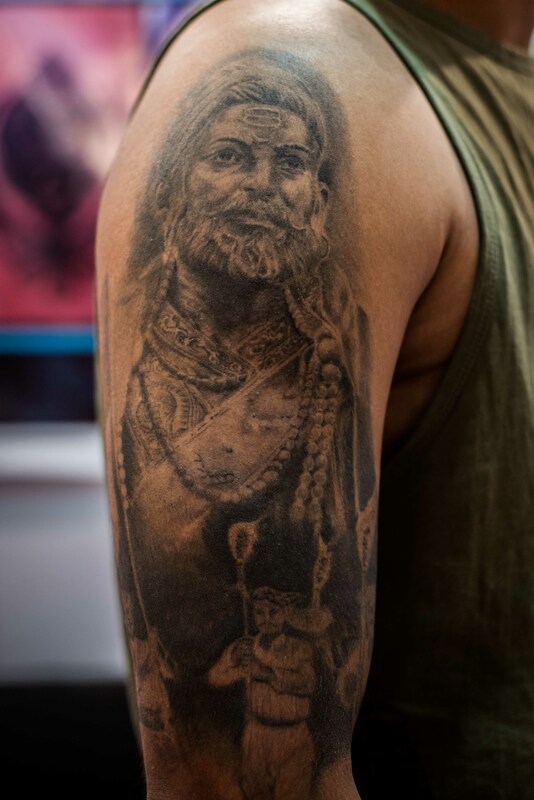 There was no dearth of Indian artists, representing various styles and expertise. 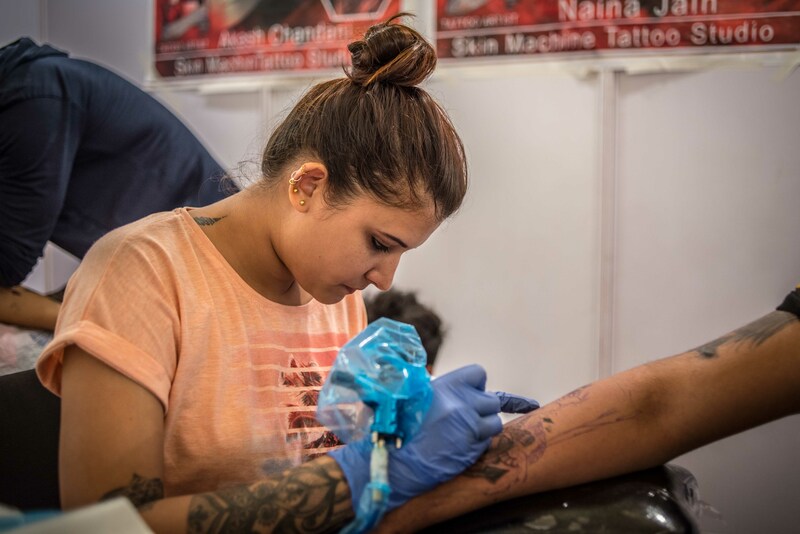 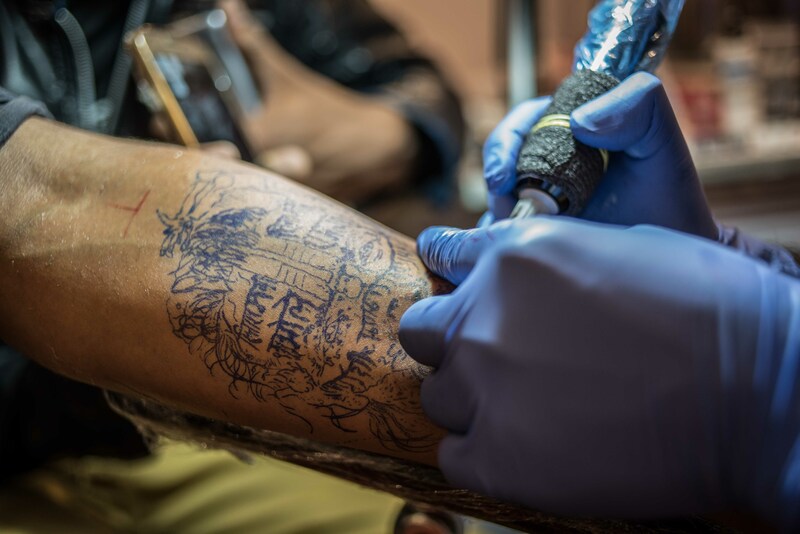 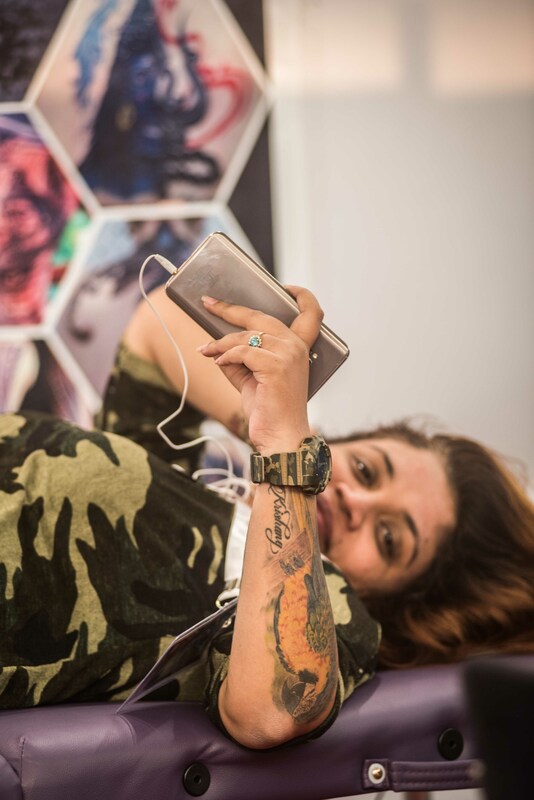 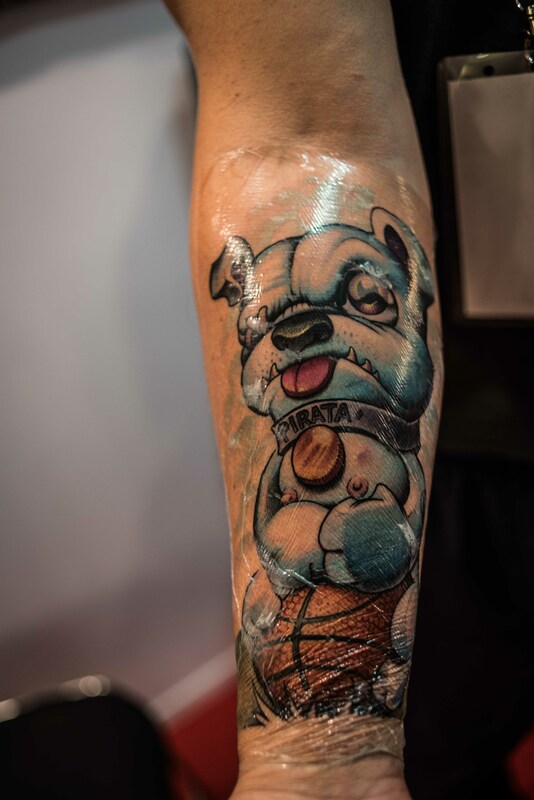 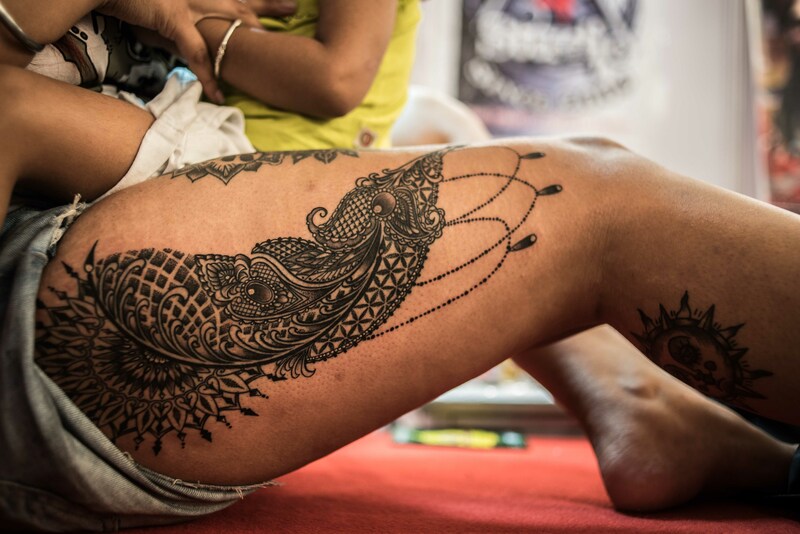 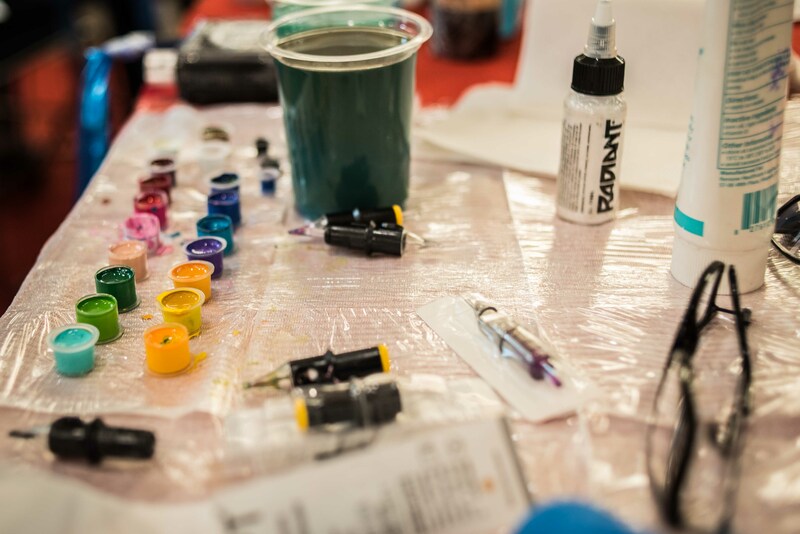 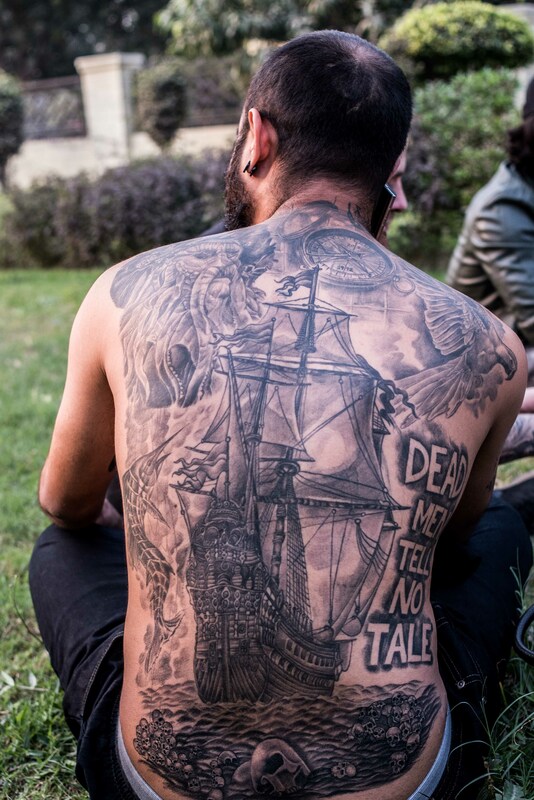 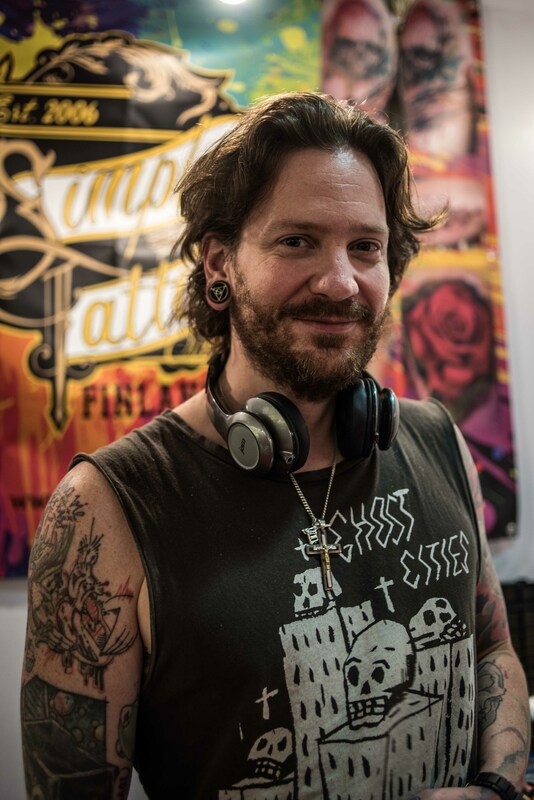 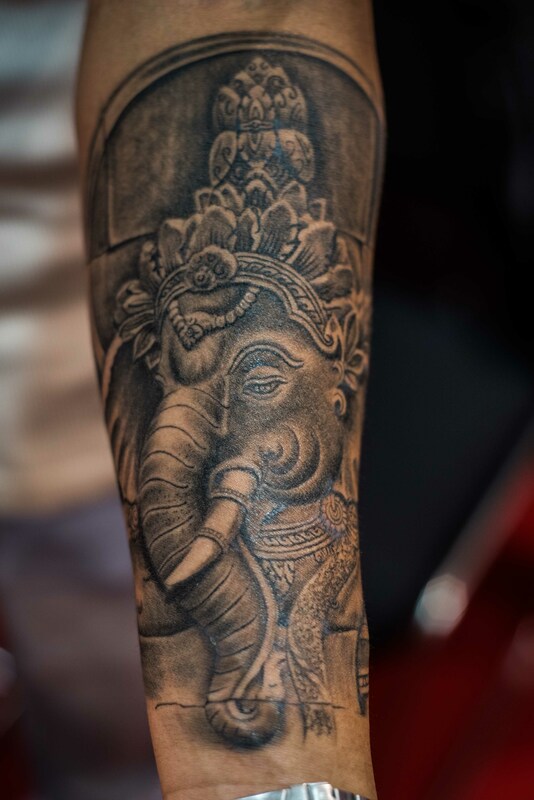 Artists from Mumbai, Goa, Nagaland, Indore, Nashik, Chandigarh, Pune, Bhopal, New Delhi, Ludhiana – just seeing the list of these cities gives a perfect example of how modern tattooing has become a major art form all across the country. 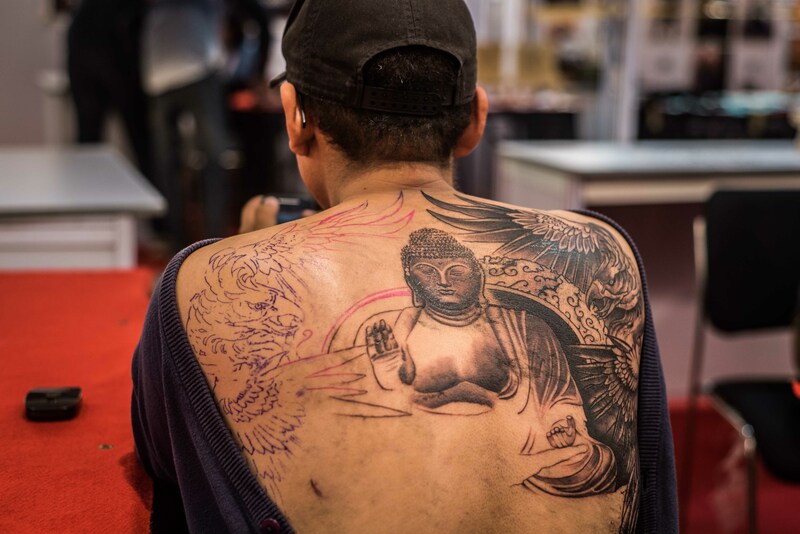 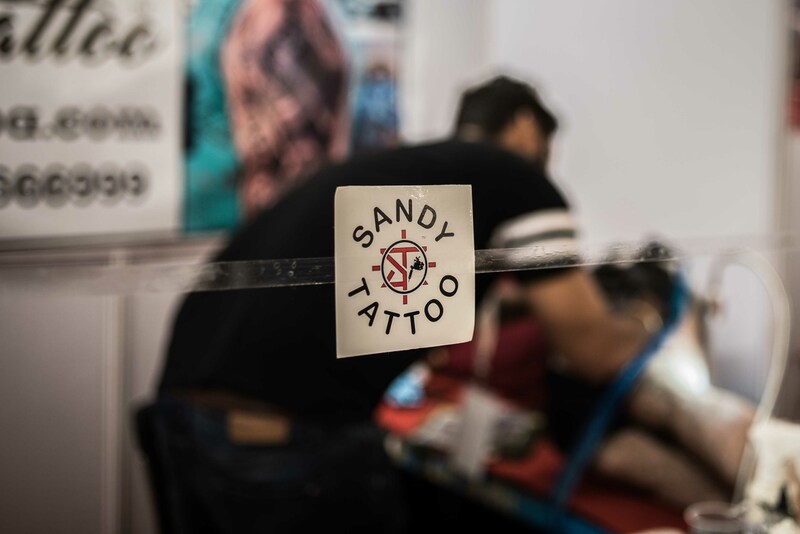 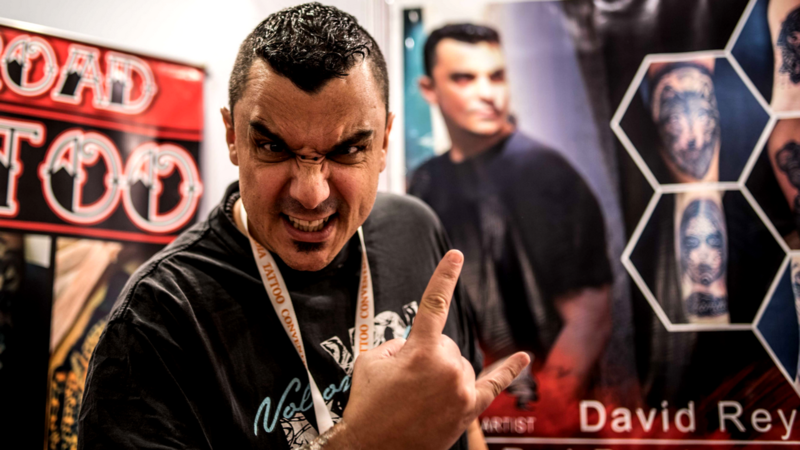 Majority of the tattoos being done at the convention were large, detailed pieces and a wonderful sync between the artists and the clients was clearly visible all around. 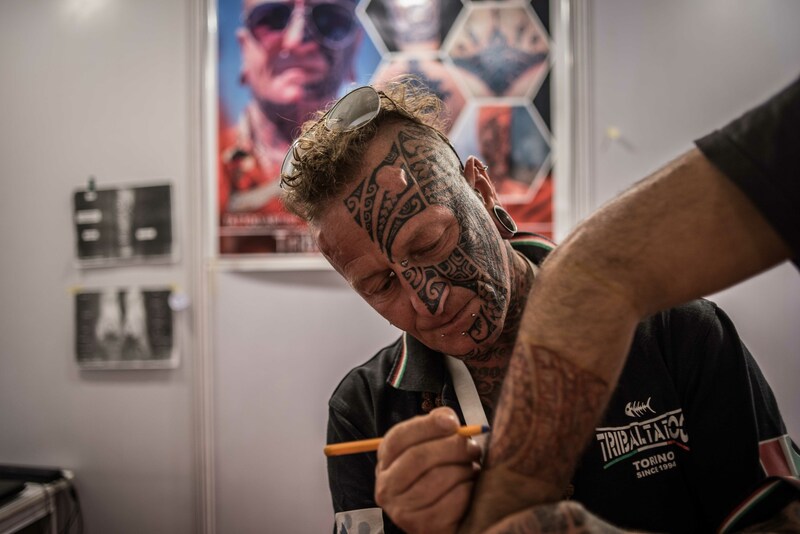 Custom designs, signature styles, stencils pasted all across, beautifully designed visiting cards, sketches, inks, colours and the constant buzzing sound of numerous tattoo machines whirring all together- the 5th India International Tattoo Convention lived up to all the expectations that one walked in with. 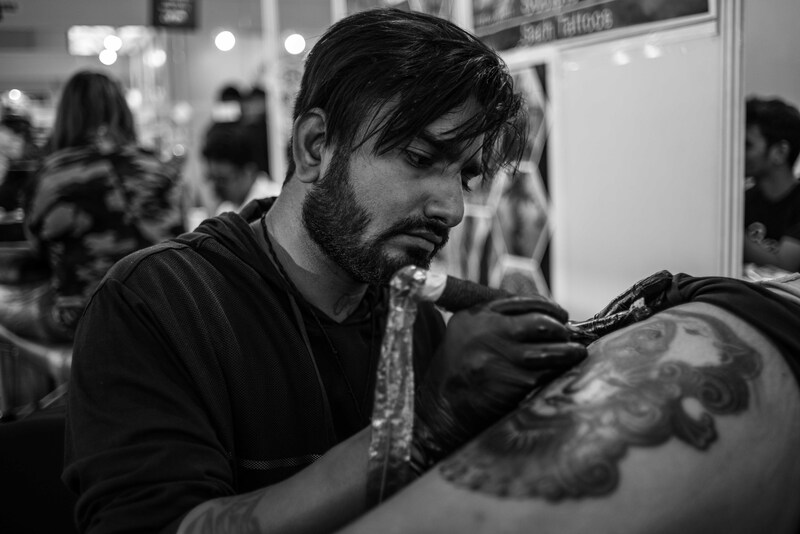 A group of 15 tattoo artists will be traveling together to see the Taj Mahal after wrapping up the convention. 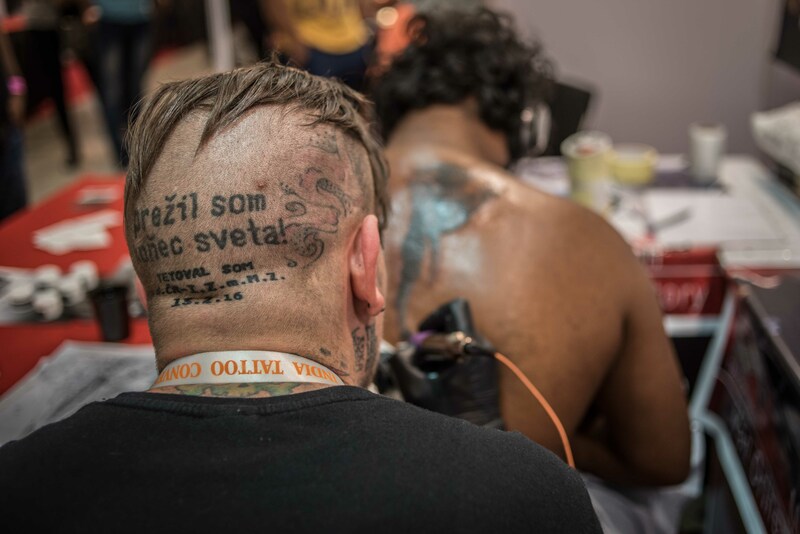 Now that certainly would be a picture telling a thousand stories! 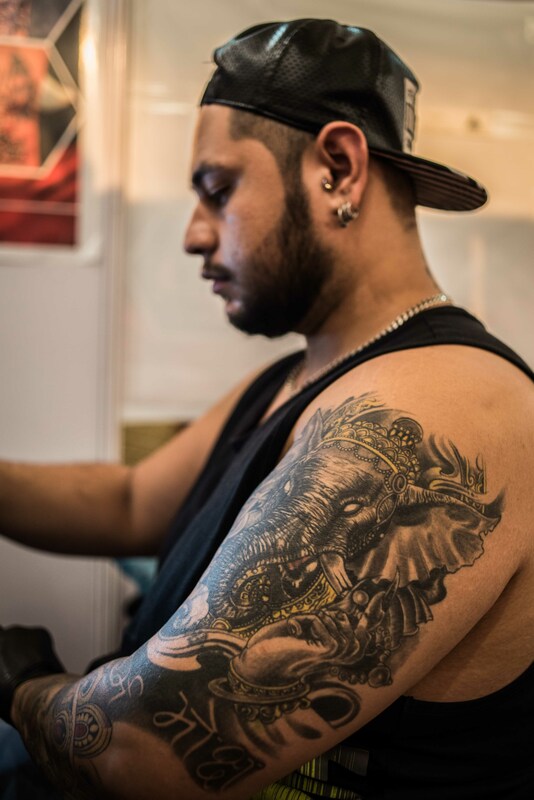 Previous Post Previous post: The tattoo universe is descending on Delhi this December. 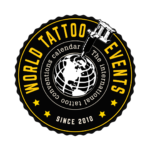 Where will you be?